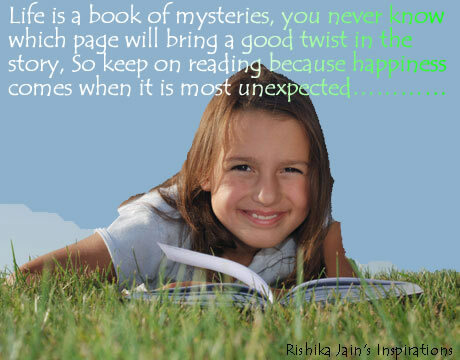 Life is Like a Book …. 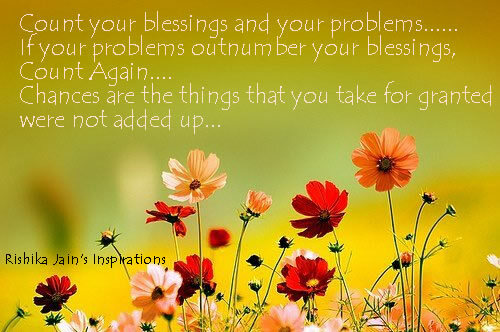 Life is a book of mysteries, you never know which page will bring a good twist in the story, So keep on reading because happiness comes when it is most unexpected..
Why to Blame anyone in our Life …. 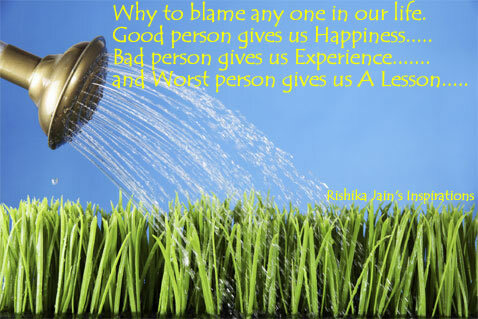 Why to blame any one in our life. 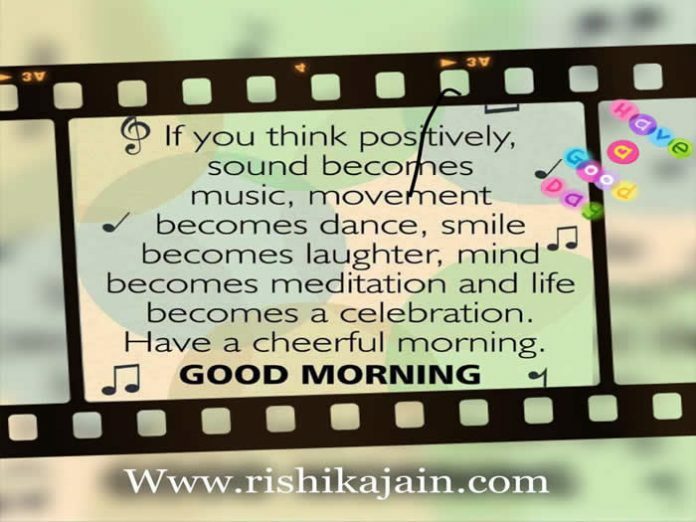 Good person gives us Happiness…..Bad person gives us Experience…….and Worst person gives us A Lesson…..
As far as possible Try to Devote your Time … and Energy to Positive People and Positive Thoughts. And Keep away from people who try to belittle your ambitions. 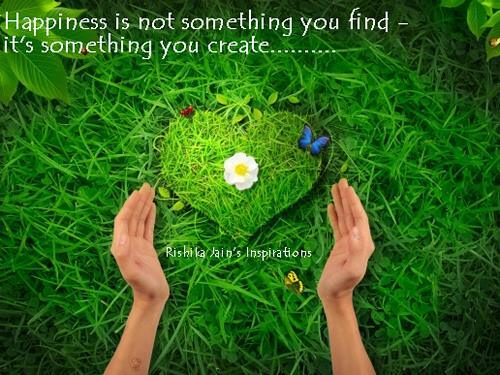 Small people always do that, but the really great people make you feel that you, too, can become great…. 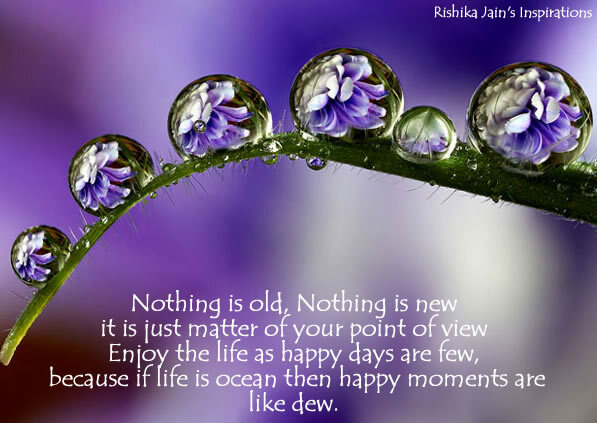 Happy Moments are like dew …. Nothing is old, Nothing is New. It is just a matter of your point of view. 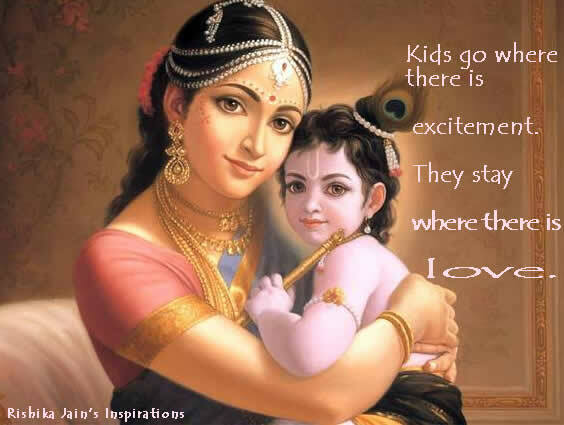 Enjoy the Life as Happy Days are few, because if Life is ocean then happy moments are like dew…..